Five hundred years ago, Martin Luther nailed his Ninety-Five Thesis onto the door of Wittenburg’s chapel, an act that is credited with launching the Protestant Reformation. In reality, the Reformation transcended Luther’s brave act and sprang from broader roots. For instance, in the same year Huldrich Zwingli began preaching the Gospel of Matthew in the Great Munster Church of Zurich, launching a parallel Reformation in Switzerland. Looking back on that year, in 2017 – 500 years since the Reformation! – we see a sweeping work the true author of which was the Holy Spirit. This is why the Reformation continues as a living movement today: it saw an outpouring of the Holy Spirit on the Word of God for the sake of the Church of Christ. It is therefore with awe and gratitude that we gather for the 2017 Philadelphia Conference on Reformed Theology as children of the Reformation and the heirs of Luther and Zwingli, together with Bucer, Calvin, Knox, and all those who have carried the gospel banner over five centuries. Just as the Reformation continues in the living faith of its heirs, the message of the Reformation retains all of its urgency for our times. It was with this conviction that the Alliance of Confessing Evangelicals was formed over twenty years ago: to serve a modern reformation for our times. As we gather for this year’s PCRT, we seek to raise a Reformation banner that has lost none of its significance. The theology of the Reformation can be summed up with the five solas. The word sola means “alone.” First, we celebrate sola scriptura: the conviction that God’s Word alone holds reigning authority over the Christian and the Church. We add sola fide: justification is through faith alone, apart from good works. Joined to it are sola gratia and solus Christus: our salvation is by God’s grace alone as believers have union with Christ alone. The final sola urges that the aim of our salvation is soli deo gloria: to the glory of God alone! Raising high these themes today, we carry on the message and the work of God’s Spirit as that work received fresh impetus five hundred years ago. Joining us for this year’s PCRT are some of the most able pastor-scholars in the church today. 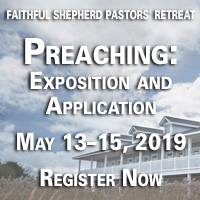 Plenary speakers include Kent Hughes, who has helped lead the cause of expository preaching in our generation and Carl Trueman, one of the most prominent church historians in the Reformed world. We are also excited to welcome Daniel Doriani, David Filson, Rick Phillips, and Timothy Witmer to our conference. 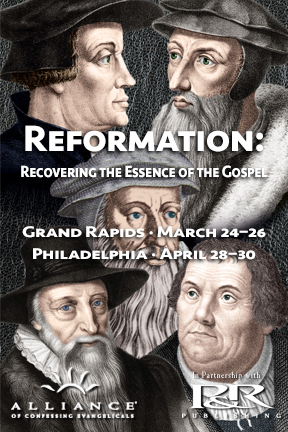 Please join us in Grand Rapids, MI, or Bryn Mawr, outside Philadelphia, both to give thanks to God for the Reformation and to carry on its work in our time. Sunday PCRT joins host church worship for final address. 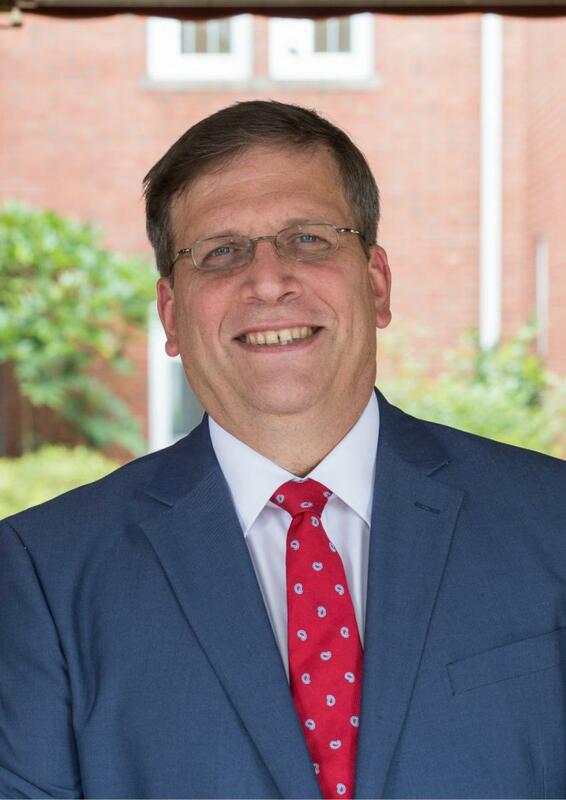 Daniel Doriani is professor of theology and vice president of strategic academic projects at Covenant Theological Seminary, where he also served as dean of faculty and professor of New Testament. He also has fifteen years of pastoral experience, principally as senior pastor of Central Presbyterian Church, a large university church in St. Louis. He has written fourteen books on Scripture, hermeneutics, and gender and family issues and has contributed to eight others. A frequent conference speaker, he and his wife, Deborah, a musician, have three daughters. David Filson serves on the pastoral staff at Christ Presbyterian Church in Nashville, TN. David served the PCA General Assembly as chairman of the Theological Examining Committee (2011-14), and has served as chairman of the Theological Examining Committee of Nashville Presbytery for over ten years. 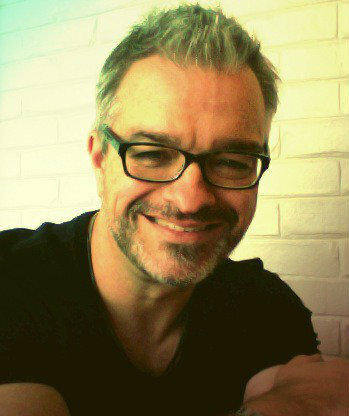 David is a Ph.D. candidate in Historical and Theological Studies at Westminster Theological Seminary in Philadelphia, and Visiting Lecturer in Historical Theology at Reformed Theological Seminary in Charlotte, NC. He blogs at www.christwardcollective.org and www.teachinglikerain.wordpress.com and is married to Diane and is the father of Luke and Lydia. Kent Hughes is professor of practical theology at Westminster Theological Seminary with more than 40 years of experience in pastoral ministry, including youth ministry, church planting, and 27 years as senior pastor of College Church in Wheaton, IL. He has authored over 30 books, including Disciplines of a Godly Man and Liberating Ministry from the Success Syndrome. 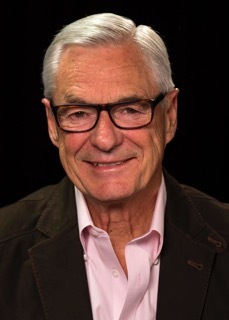 He is also senior editor of the acclaimed Preaching the Word commentary series, authoring many of the New Testament volumes himself, including Mark: Jesus, Servant and Savior, which received the ECPA Gold Medallion Book Award for best commentary in 1990. 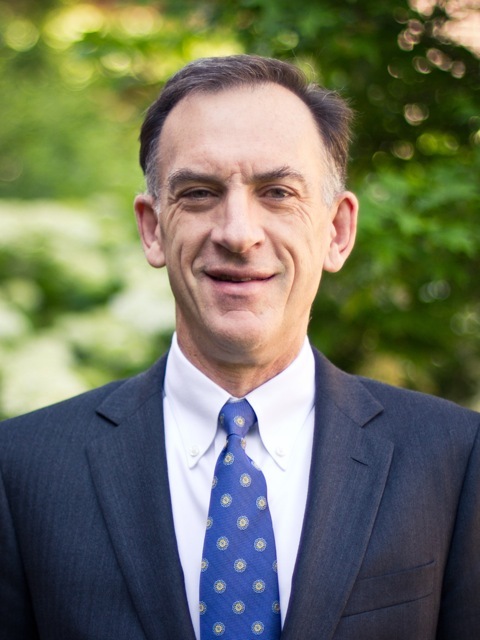 Richard Phillips serves as senior minister of Second Presbyterian Church in Greenville, SC and is chair of the Philadelphia Conference on Reformed Theology. He is the author of numerous books, including, Holding Hands, Holding Hearts, Hebrews Reformed Expository Commentary, and Walking with God: Learning Discipleship in the Psalms. 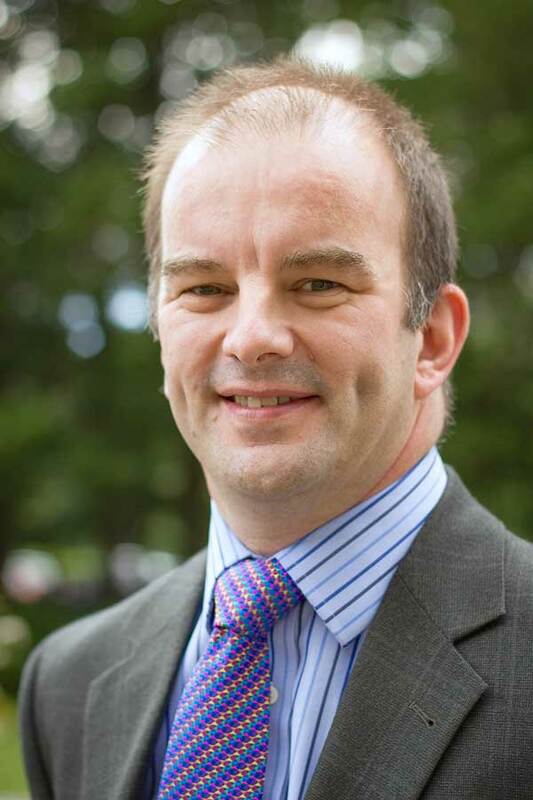 Carl Trueman is a speaker on the Mortification of Spin podcast, professor of church history at Westminster Theological Seminary, and pastor of Cornerstone Presbyterian Church. He has an M.A. in Classics from the University of Cambridge and a Ph.D. in Church History from the University of Aberdeen. He is editor of the IFES journal, Themelios, and has taught on the faculties of theology at both the University of Nottingham and the University of Aberdeen. He has authored a number of books, including The Claims of Truth: John Owen’s Trinitarian Theology and The Wages of Spin: Critical Writings on Historic and Contemporary Evangelicalism. He lives in Oreland, a suburb of Philadelphia, with his wife, Catriona, and his two sons, John and Peter. Timothy Witmer grew up in New Holland, Pennsylvania where he was raised in a Christian home. He attended West Chester University where he became a Christian through the ministry of Campus Crusade for Christ. After graduating with a Master of Arts in Philosophy (1975) he attended Westminster Theological Seminary (Philadelphia) where he completed the Master of Divinity degree. On November 11, 1979 he was ordained as a Teaching Elder in the Presbyterian Church in America and was installed as Assistant Pastor of Berith (now Springton Lake) Presbyterian Church in Newtown Square, Pennsylvania. He was called to serve as Pastor of Crossroads Community Church in Upper Darby, Pennsylvania and was installed on December 14, 1986. He was designated Pastor Emeritus in January, 2015. He now serves as Pastor of St. Stephen Reformed Church in New Holland, PA. Please call the hotel directly and mention "The Alliance of Confessing Evangelicals" to receive the special rate.